Mitsubishi's plug-in hybrid (PHEV) version of its Outlander will be exempt from the London Congestion Charge thanks to its low CO2 output of 44g/km. The Outlander PHEV goes on sale in Spring 2014. After the £5000 government grant it should cost around £35,000 – not significantly more than a top-trim diesel version. Thanks to a large battery pack that can be charger from the mains, the Outlander PHEV can cover up to 32 miles on electric power alone and is capable of reaching motorway speeds in this mode. The Outlander PHEV also has a 2.0-litre petrol engine like a traditional hybrid which extends the range to more than 500 miles. Following changes to the congestion charge exemption rules in July 2013, only electric vehicles or hybrids with a pure electric range of 10 miles and emissions of below 75g/km qualified for exemption. 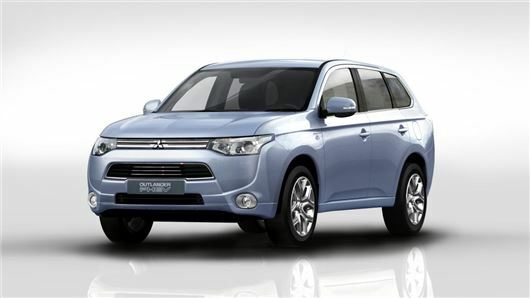 The Outlander PHEV easily fulfils the new criteria and is one of the largest vehicles to do so.